What Do you Do at PrairieView? As a student in PrairieView’s Diploma Program, I am often asked “so, what do you do at Prairie View? The short answer is, of course, “I take pictures”. The long answer, however, is that I spend my days learning every single step of the process. PrairieView opened in 2002, when analogue photography still ruled the photo world. Back then, our students learned how to get the best out of their film cameras and how develop their photos in the darkroom. By 2007, digital photography was king and our students were learning how to get the most out of their digital cameras and how to develop their images in Photoshop and Lightroom. If you own a DSLR, you have a camera with a mirror in it. The mirror is there to reflect light up to the optical viewfinder so you can see and focus on the scene you want to capture. In a mirrorless camera, the viewfinder is electronic. So you don't see the scene as reflected by a mirror, you see a digital preview. Doing away with the mirror and optical viewfinders means smaller, lighter cameras and using an electronic viewfinder means you get to see what the shot will look like before you click the shutter. 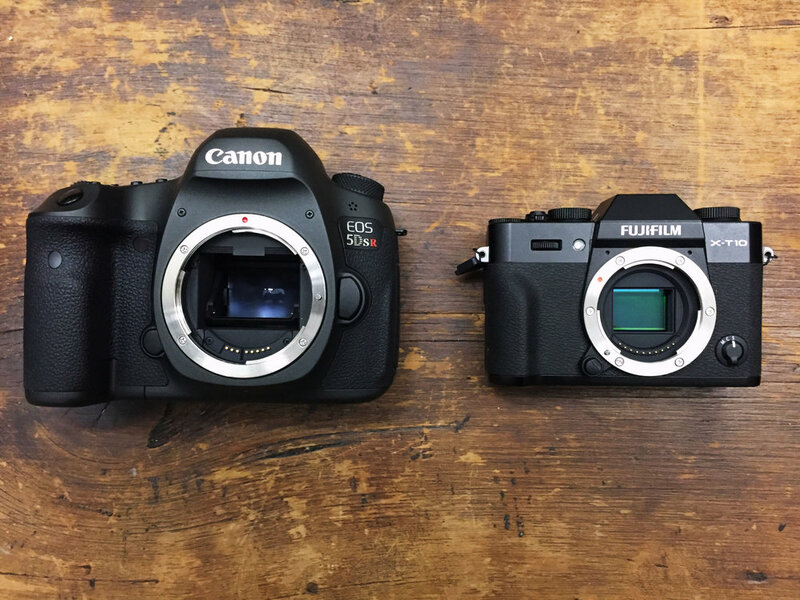 There are other advantages as well as some disadvantages, but it looks like mirrorless cameras are not only here to stay, some predict that they will eventually dominate the market. I wrote about my own switch to a mirrorless camera system here. Despite the differences in how DSLRs and mirrorless cameras work, the same fundamental principles of photography apply. You still need proper exposure, good framing, composition and timing. But don't worry, no matter what kind of camera you have, we can show you how to create great images with it. Want to stump the person behind the counter at a photo store? Ask them to show you a current model digital camera that doesn't take video! Nowadays, virtually all digital cameras can record video, and awesome video at that. At PrairieView, we've included a video component in our Diploma program since 2007 and our students have made some incredible videos with their DSLR and mirrorless cameras. This year, we will be rolling out a new series of video classes and workshops. Video 101 is already scheduled and open for registrations. If you enter coupon code: VIDEO2018 when you register we'll take 10% off your registration fee! With our smartphones we capture and share the moments of our lives. But are we getting the high quality, creative images that our smartphones are able to produce? For many of us, the answer is no. In fact, most smartphone owners only use a tiny fraction of the capabilities their smartphones have to offer. So what's the solution? Knowledge. Learning the in's and out's of a smartphone's camera settings and learning how to 'see' with these powerful devices can make all the difference. PrairieView instructor and professional photographer Simeon Rusnak used his smartphone to gain nearly 75 thousand Instagram followers! And this fall, Simeon will be leading a workshop to help you take your smartphone photography to the next level. You can sign up for the class here. And If you enter coupon code: SMART2018 when you register we'll take 10% off your registration fee! The only thing that is more fun than flying a drone is attaching a camera to it to create incredible photos and videos from high overhead! PrairieView is proud to announce its very first drone-related course, Drones for Fun. So if you want to learn about getting an extreme bird's-eye view of the action below, join Matthew Johnson of M3 Aerial Productions and learn all the amazing things you can do with a drone. If you enter DRONE2018 when you register we'll take 10% off your registration fee! PrairieView's Diploma Program is one of the the most comprehensive photo courses in Canada. We teach the art, science and business of photography in a state-of-the-art learning centre where discovery and creativity are celebrated. How PrairieView helped launch a career. From buying a camera on Ebay in the early 2000s to becoming one of Canada's leading birth photographers and changing the course of Instagram history, PrairieView grad Heather Bays shares her incredible story. In today's connected world you can find online lessons for just about anything you want to learn, including photography. So why go to photography school? Recently, we asked that question of award-winning photo journalist Aaron Elkaim whose clients include the The New York Times, TIME Magazine and The Wall Street Journal. In the video below, he explains the importance of a formal education in photography and how PrairieView's Diploma program helped him launch his successful career. Start your journey to a career in photography, apply today!